Researcher Gina Ravenscroft with her son Giacomo. Dr Ravenscroft, from the Harry Perkins Institute of Medical Research, is one of the scientists at the forefront of research into a genetic disorder that causes a lack of movement in babies. ‘Our research is into a genetic muscular disorder called nemaline myopathy and it’s very sad because these babies have very severe muscle weakness and poor quality of life if they survive,’ she said. Headed by Winthrop professor Nigel Laing, the team’s research identified two new genes for nemaline myopathy. ‘We’ve not only found the genes but we understand the mechanisms underlying this disease,’ he said. 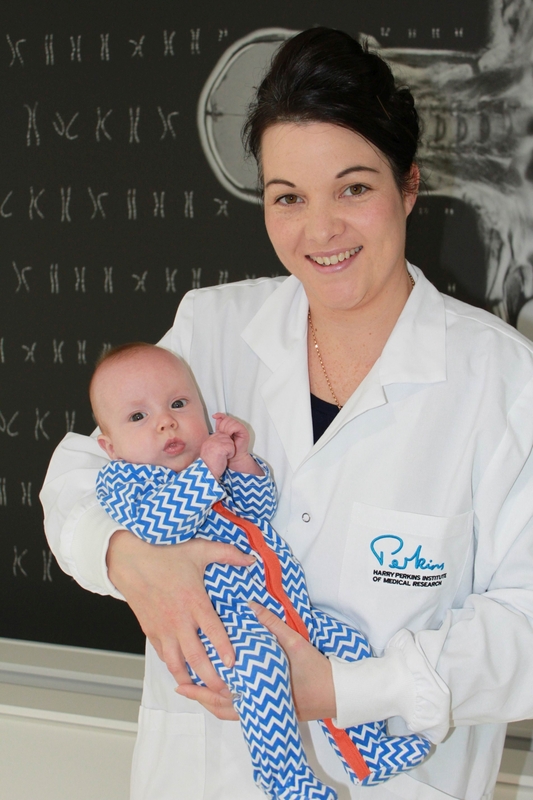 Dr Ravenscroft said she would continue her research when her maternity leave ends in January.